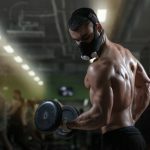 Building strong hands and pectoral muscles without heavy weights and machines is not a myth anymore! 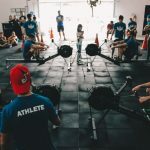 Even if you have an injury and the doctor says you can forget about hard CrossFit WOD that has push-ups in the routine, we’ve got you covered! You can choose between the best push up bars for workouts or WODs. Push up bars offer a great way to boost your endurance and burn your upper body like you never did before. 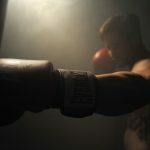 Were your wrists previously injured? 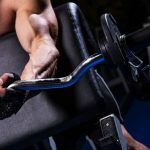 We guide you through the best push up bars for wrist pain too! 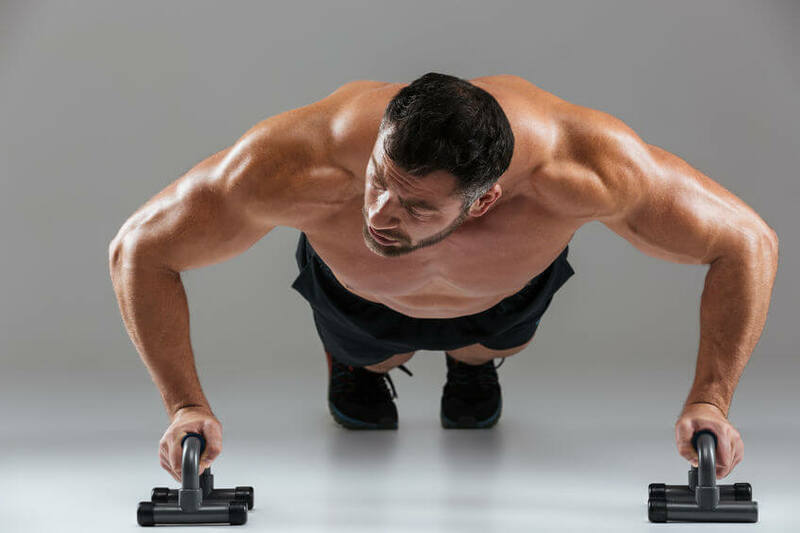 When it comes to the best push up bars, it is vital to understand why the width of your arms might play the crucial role in different muscle group strengthening. Push up bars are usually in the level of your shoulders. This is regular hand position. But what if you are a very creative coach who likes to change positions of arms? Well, that is why you can satisfy each client’s needs – you have seven ways to combine grip width and position. It means tons of various push-ups! And arms and abdominal muscles are always involved! Your hands stand as close to each other as possible. This is the best way to isolate triceps brachii, but it is the most difficult push-up. Place your hands on the width of your shoulders. This exercise targets your triceps and chest muscles. Your hands are more than shoulder-width apart. If you want to isolate chest and shoulder muscles, here is your chance! It is an excellent way to increase the difficulty of the exercise. Have you ever tried to put right hand in front of your shoulder, and left hand in the level of your stomach? This is not a symmetrical workout but difficulty is superb! Some people call it “Russian push-up style”. With the hands in front of your head, the difficulty is supreme, and it kills your shoulders and scapula wing muscles! In the endless offer of push up bars, you need to choose something that fits your needs perfectly. It means a great handle and maximum wrist protection. You can choose among many, from metal to rubber, depending on your goal. 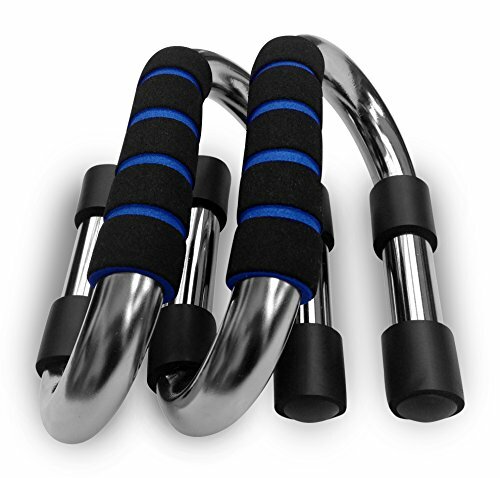 Metal push up bars is featured by world-class durability and extreme workouts. But when you want best push up bars for wrist pain, stick to the rubber or plastic ones. The plastic ones provide better comfort. Foam handle covers are also a good choice. This is the most critical part since you sometimes need to fit everything into a very tight budget. Try to focus on good durability and longevity. You don’t need a bar which will break easily. Sometimes a downloadable DVD workout routine might be great, especially if you are a beginner. When you want to disassemble parts for travel purposes, metal bars are again critical. It is easier to train on the road with plastic ones but metal bars are better for garage gym training. 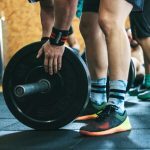 Do you need the product for home workout, garage gym, or travel purposes? 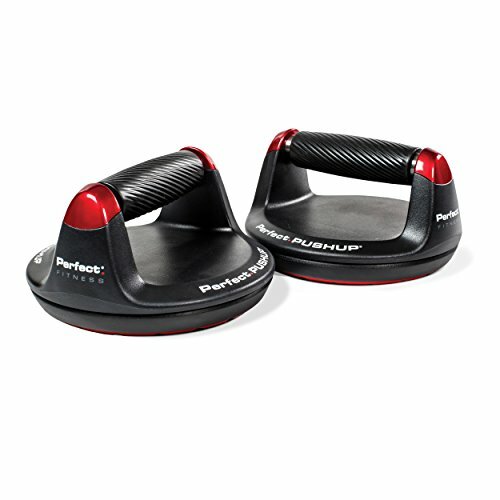 Are you going for the best push up handles or best push up bars for wrist pain? Well, the history of your wrist or elbow injuries will answer the question. Does your health issue allow more mobility or you need something to protect wrists and elbows? 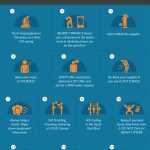 The last thing you need is a chronic wrist injury and new rest periods over and over. Push up bars or handles with circular shape protect your wrist by taking the pressure of it. If not stable on the ground, it will also give you a chance to target different core and upper body muscle groups. Don’t forget to warm-up properly before your training session starts, you will minimize the chance of injury. Now let’s go to the best push up bars of all categories! Review: This is probably one of the best push up bars for wrist pain. Rotating stands to protect your wrists and improve the difficulty of the exercise at the same time. An ability to change the grip angle with ease. Good elbow and shoulder protection. You get a jump rope in the package too. A range of motion is limited because it is not tall. 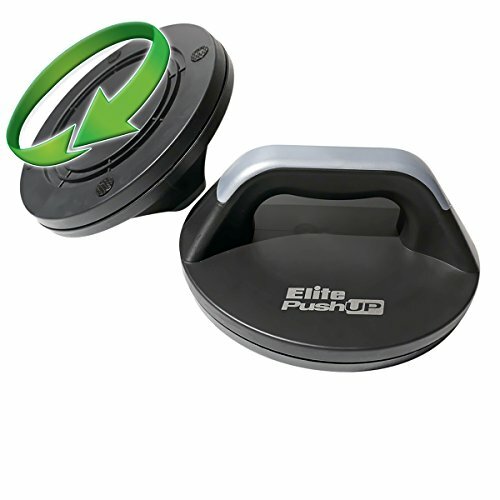 As a mixture of plastic, rubber, and steel, with handles made of rubber and plastic, Elite Sportz is probably the best value push up bar. 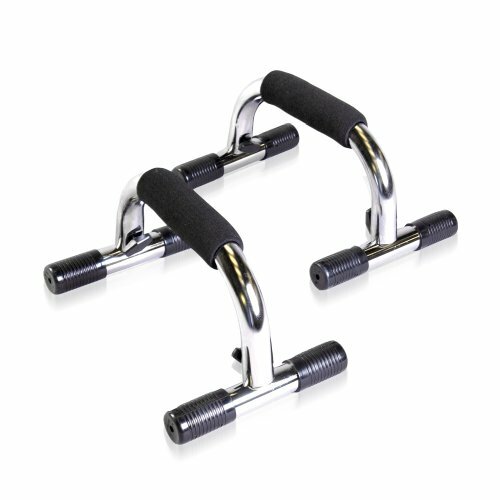 Review: Highly durable steel push up bar with foam pads for maximum protection of your wrists and joints. Suitable for all seven ways of grip and positioning – an excellent choice for a creative coach. Portable and it takes very little space. Amazing range of motion – no limits. Good for difficult and easy exercises. It doesn’t come with other equipment. It should be padded more. 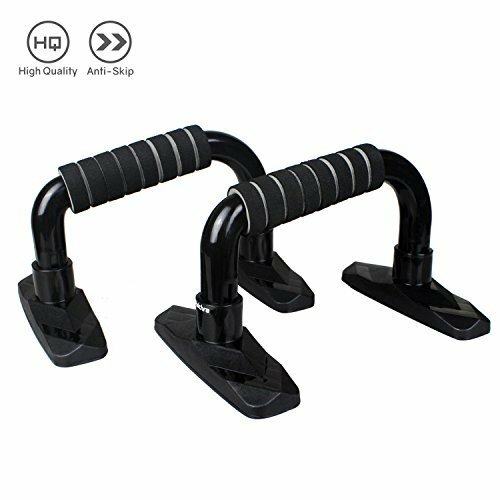 If you want long-lasting and wrist-protecting push up bar, don’t hesitate! Review: It is made to rotate slightly and increase the difficulty of the exercise. Ergonomic grips can distribute weight on wrist and elbow evenly – probably the best all-around push up bar. It can handle 400 lbs practitioner. Good choice for a creative coach. It comes with a 21-day workout chart. Not the best choice for travelers. Extra price is worth since it combines wrist protection with a possibility to train all muscle groups. 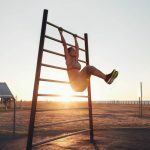 Review: This push up bar is a product for an advanced practitioner who has the complete control of his own body and who tries to develop his training program into calisthenics. Legend Pushup will combine brutal core exercises, world-class balance adjustment drills, and outstanding stability requirements. Improves the growth of chest muscles, shoulders, triceps, back, and shapes core muscles. You can try all kinds of advanced exercises, including the most difficult ones. Exercise videos are a part of the offer. Great durability, made of metal, with rubber grips for Stability Mode and high-quality foam grip for Rocking Mode. It is not recommended for beginners. 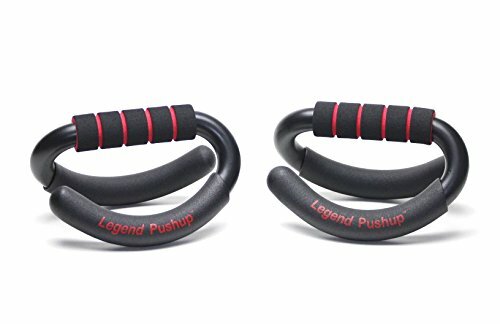 Any serious fitness enthusiast who has serious plans for his body should purchase Legend Push Up. 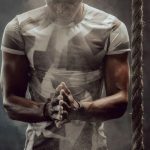 It is probably the best choice for CrossFit or calisthenics workouts. Review: It is a fantastic choice for a traveler. CAP Barbell Push Up Bars really take very little space in your backpack, it is very mobile, and the design is awesome. Made of chrome, plastic, and rubber. Rubber footpads provide more stability during advanced exercises. Not the best choice for someone who has wrist problems. You might need to readjust between the sets if your hands are bigger. The most suitable choice for someone with a low budget and no wrist problems. You can even pack it into the smallest partitions of your rucksack or baggage. Review: Pulchra Push Up Stands is a great choice. It doesn’t take too much space, and it can make your movement deeper. Made of very light material, and extremely durable. It can handle up to 660 lbs (300 kg). Sponge grips will keep your hands dry for a prolonged period of time. Unique 9.6 degrees incline for outstanding wrist protection. 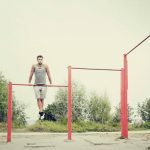 It is harder to perform calisthenics exercises. Grips and rubber base should be thicker – you might have problems if you have big hands. This is an ordinary push up bar which offers high-quality experience and a great way to develop the muscles of upper body and core. Review: This is the best push up bar for someone who wants to affect every muscle of the upper body. The design is colorful, and it is very easy to orientate. Awesome choice for your garage gym and harder training sessions. 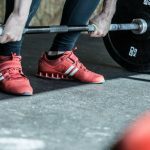 You get access to a Youtube channel for strength and conditioning. Excellent way to track progression and grip width. Very large and non-suitable for small space. Power Press Push Up is worth spending some extra money. 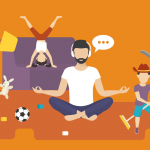 Your training session can be varied and fun like never before! The best push up bars are the ones that support your training style and provide the best results! 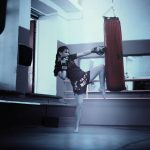 Maybe you want to be a super pro, and maybe you just like to train for enjoyment! Push up bars are an excellent way to combine creativity, balance, momentum, beginner and advanced exercises. You can also set a new goal every day and track your progress. Please write us a comment. Which push up handles are your choice and why?